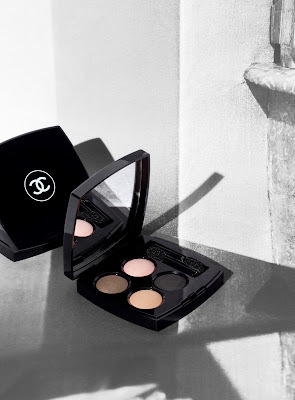 Here at Pixiwoo we are always excited to take a peek at the Chanel new season collection. Chanel have launched a collection that has all the typical autumnal colours you would expect to see but have also dropped a few surprise pieces in there that still feel influenced by summer. This illuminating powder has the look of summer with its radiant peach and gold stripes but the embossed glitter sequins remind me of a winter/christmas collection. The colours blend together to give the skin a satin healthy glow.The tiny silvery glitter particles do look very pretty on the skin but they are only superficial so once you have wiped the top layer off then the glitter is gone. I actually prefer it without the glitter so this is not a problem for me. There is a choice of eye shadows in palette form or individual at £22.00. 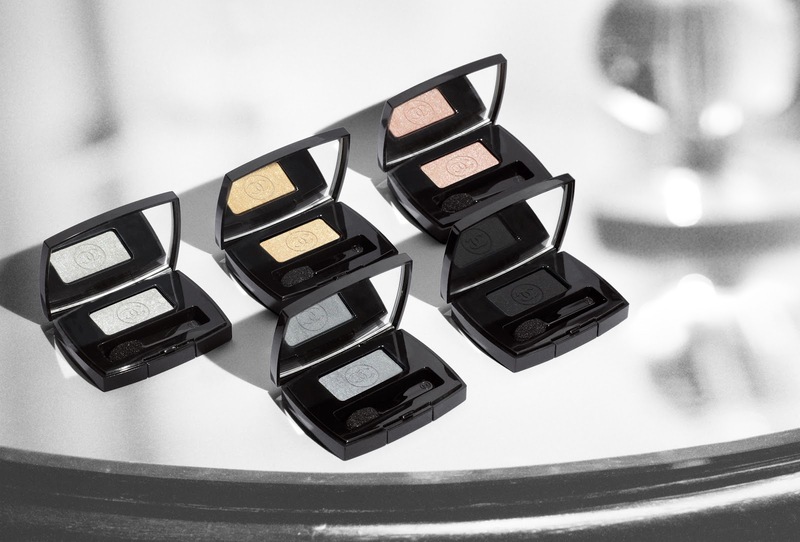 The individuals come in a gorgeous single compact with sponge applicator. The four pastel shades are sheer but buildable with a wet look finish. The black shadow is a semi matte that blends easily. The quad palette is £37.00 and I personally feel I have seen before. Although the textures and colours have a good payoff and blend nicely, it's originality didn't jump out at me. I adore the long wearing glosses in this collection (£25.00). The case feels weighty and super luxurious. 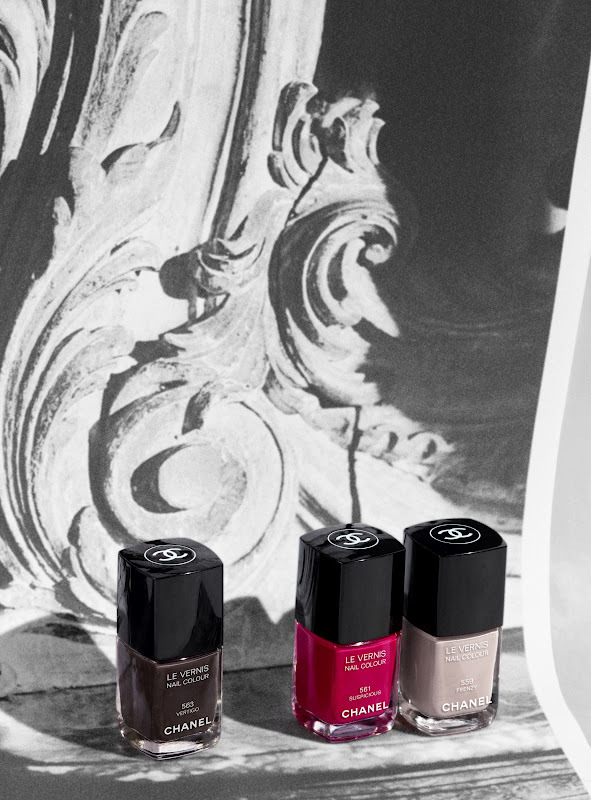 The two colours are, Troublant, a violet plum and Caprice a soft pink. The texture is creamy and slick with a mirror like shine. If you prefer your gloss more muted then you may prefer the sparkly sweet beige gloss (£21.00) on the right of the gloss picture. Chanel nail colour (£18.00) never fails to be anything other than elegant (although not always as long lasting) and this fall I cant choose which of the lilac, black or intense pink I want on my nails. I may have to paint them alternate colours! This limited collection launches 24th August 2012 in the UK. 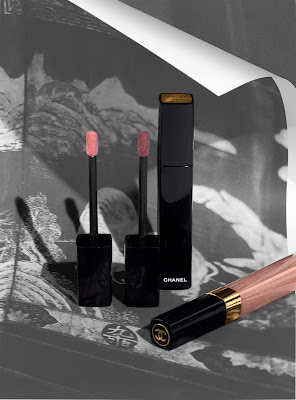 Visit stores or http://www.chanel.com for more information. isn't that light nailpolish more of a grey-beige tone than lilac? I'd love to see a tutorial for that visual! What a beautiful collection. Cant wait for the Launch. Thanks for sharing! Oh! I like it the polish nails!! I'm really liking the lippy shades. The eyeshadow shades just don;t look very different. Just seems like the typical A/W shades you get every year. I actually did buy the new quad because I have a weakness for eyeshadow. 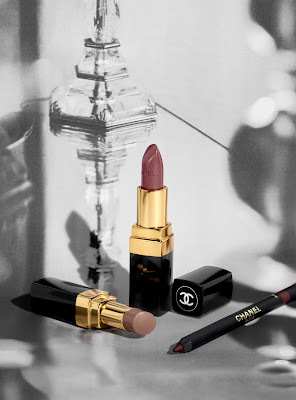 I also bought a Chanel lipstick and Boy & one of their foundations. Oh and yes, as one other mentioned above, I did buy a nailpolish from the Fall 2012 line: Frenzy, which they describe as a lilac gray, its a great office appropriate color, but I imagine not all can wear it. As for the eyeshadow quad, the taupeish color dis just really bring out my blue eyes, but I agree with you not very original. 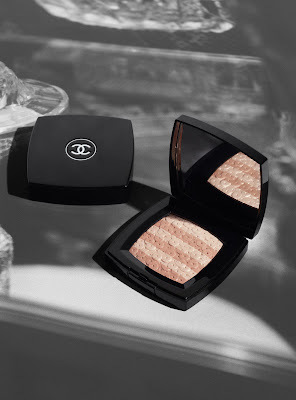 Chanel products are so gorgeous! What about foundation? Is there a replacement for Pro Lumiere? I love the promo image! The intense pink polish looks awesome. I have most of this products here at home with me. I am going to slowly buy the rest of the products. The quad is a everyday wear, the 3 nail polish are to die for and the eye liners.... OMFG! They go in my water line like butter!